Markmiðið með stofnun félagsins er að fá reiti sem liggja miðsvæðis og vel við almennningssamgöngum á höfuðborgarsvæðinu og byggja þar þétta, lágvaxna og vistvæna byggð þar sem aðrir samgöngumátar en bíllinn hafa forgang. Þar mun félagið reka leigufélag og/eða selja eignir með forkaupsrétti félagsins. Félagið mun leita fjármögnunar á þessum byggingum hjá opinberum aðilum, en líka leita samstarfs við stéttarfélög, önnur félagasamtök eða fyrirtæki sem vilja leggja sitt af mörkum til að þessu markmiði verði náð. Í þessu augnamiði mun félagið vinna að viðskiptaáætlun og teikningum að byggingum og sækir um styrki til þess starfs til nýsköpunarsjóða og annarra sjóða. Félagið kýs stjórn sem deilir verkum í félaginu og kaupir að þjónustu. Á HönnunarMars munum við kynna fjölbreytta dagskrá sem beinist að því að auka skilning og meðvitund um grænar byggingar og búsetu. During DesignMarch we will present a diverse programme aimed at increasing understanding and awareness of green building and living methods. 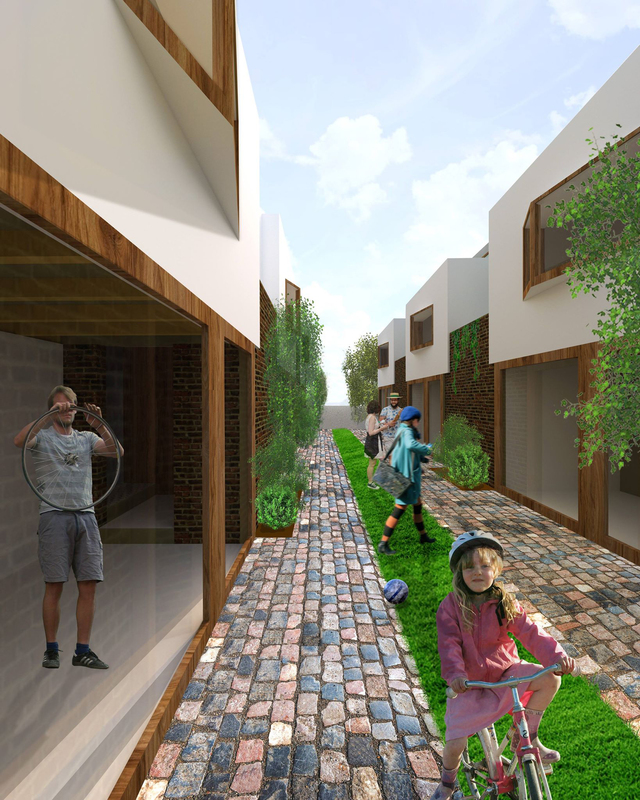 Miðgarður is a building association that plans to build dense, green, low-rise neighborhoods centrally located with a low priority for vehicles. As soon as automobiles do not have the space that they usually get, it will be easy to reach normal downtown densities with few floors. When centrally located the need for a private car is considerably smaller than elsewhere in the city. Thus the equation reaches stability. The company will seek funding for these buildings from public entities and also seek cooperation with unions, other non-governmental organizations or companies that wish to contribute to this goal. To this end, the company will work on a business plan and drawings for buildings and apply for grants for this work for innovation funds and other funds. See above for our interesting program during Design March 28. – 31. March, presentations will be in English.